Congratulations to those individuals/organizations who have successfully acquired RBBX circus train passenger cars from Feld Entertainment! It is good to know that numerous cars that “ran away from home to join the circus” years ago will now have a new home and a new future. If you are already a member of AAPRCO, please let our Executive Director know what car(s) you have acquired, so that we can update our database of cars owned by our members. If you are an associate member, now it is time for you to upgrade your membership to car owner status. If you are not a member of AAPRCO, we encourage you to join our association. 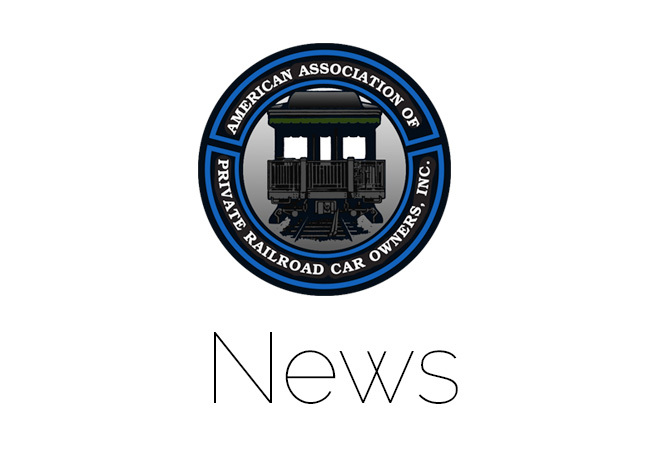 Car Owner (Non-Amtrak certified) membership is available for only $150 per year. The benefits of membership are detailed in the “Join/Renew” area of our website. We are stronger when we work together, as a community of private railroad car owners, to promote our mutual interests in the safe ownership, operation and enjoyment of railroad passenger cars.